An original interpretation of Florence. What has the infamous political leader and Latin writer from the 1st century BC got to do with the city of Florence?The term Cicerone is used to refer to tourist guides, known for their deep knowledge of a place. 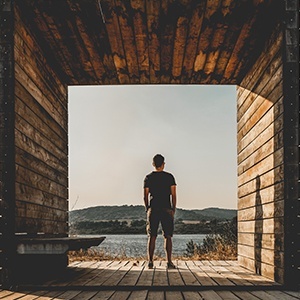 On this idea we have involved two content creators – a local connoisseur and an international photographer – who have joined their creative forces to celebrate the cradle of the Renaissance. A precious casket on the banks of the Arno River. 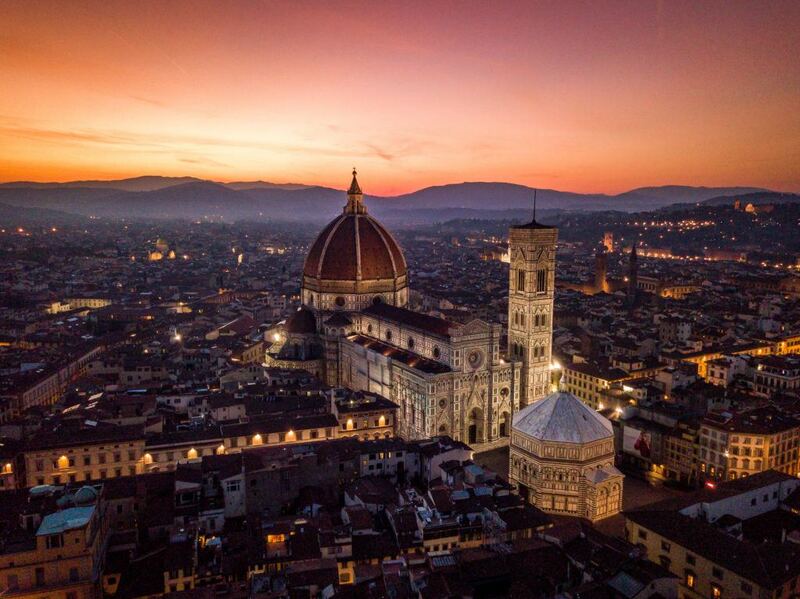 Immortalized every day by thousands of tourists, Florence can offer an unprecedented mix of history, art and breathtaking views. There is no single style or path to tell this city of timeless charm: on this belief that we decided to build a visual story that combines two different points of view, each one called to express its own interpretation of this destination. 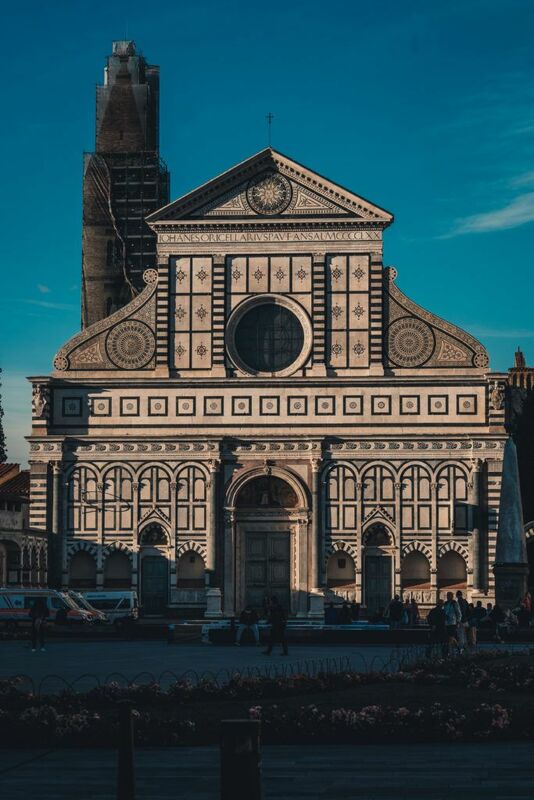 We started our itinerary from Piazza di Santa Maria Novella, where stands the homonymous church with an imposing marble façade, one of the most important works of the Florentine Renaissance. The construction work of the Church began in 1242 and ended in 1325. 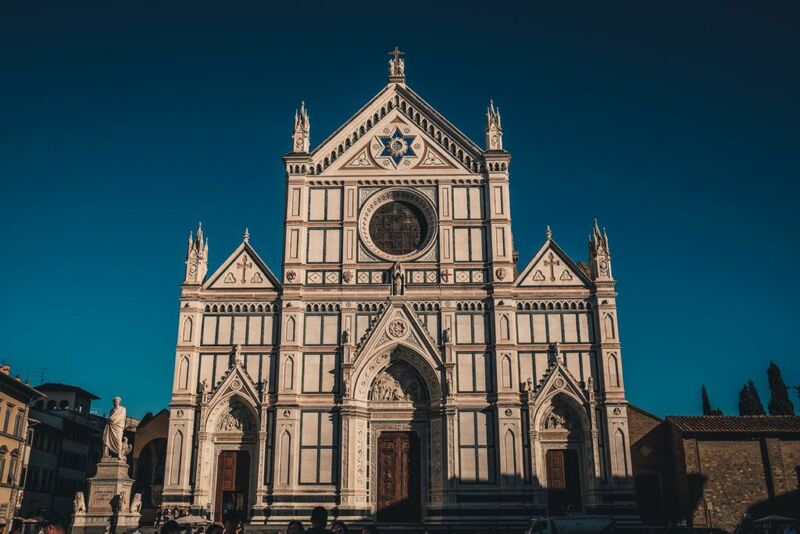 The church was the first Basilica where elements of Gothic architecture were used in Florence. After passing through Piazza di Santa Maria Novella, we arrived in Piazza del Duomo, the heart of the city. 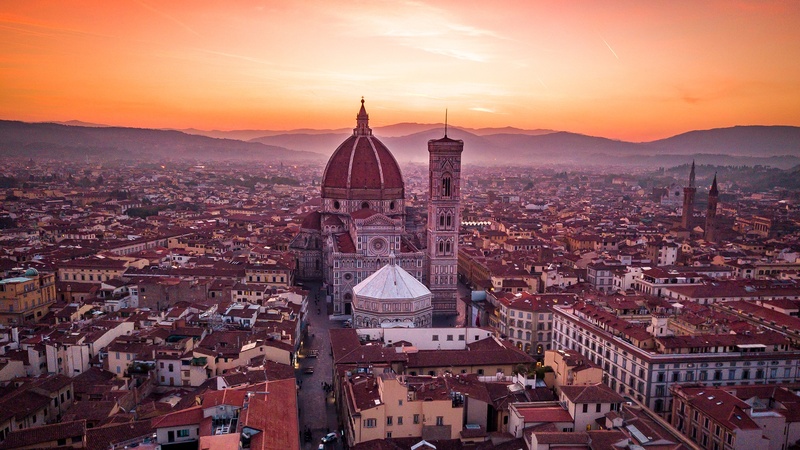 There are three masterpieces in this square: the grandiose Florentine cathedral, one of the largest European cathedrals, characterized by a majestic dome by Brunelleschi; Giotto’s Bell Tower, 84 meters high and the Baptistery of San Giovanni, dedicated to the patron saint of the city. A true triumph of marble and refined decorations, one of the most iconic squares of the Italian Renaissance. 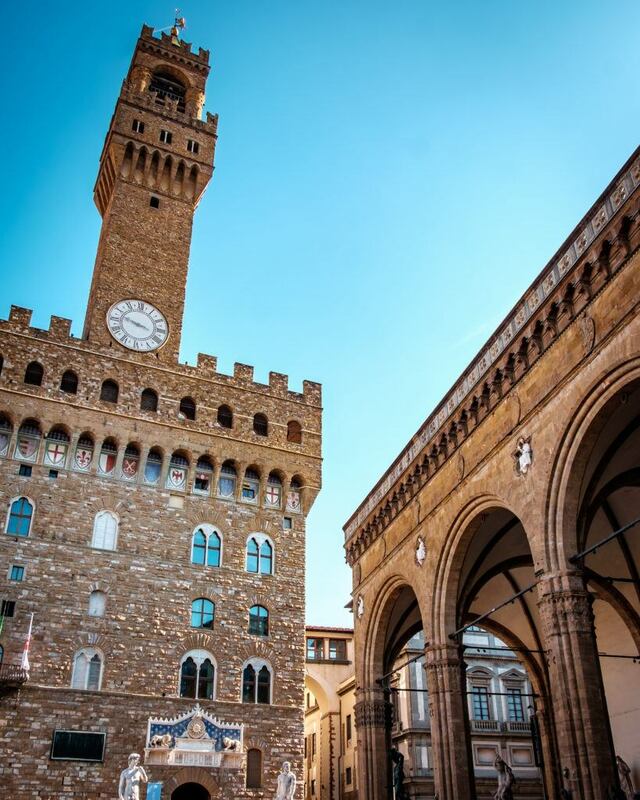 Piazza della Signoria is the political and civic center of Florence. The square is featured by the equestrian monument of Cosimo I and the Fountain of Neptune. On the left side, we admired the sculpture representing the Marzocco and a heraldic lion with the coat of arms of Florence. On the right, bronze copies of Judith and Holofernes, Michelangelo’s David and the marble group of Ercole and Caco by Baccio Bandinelli. Once the area around Piazza Santa Croce was a real island formed by two arms of the Arno river: for this reason the Franciscans chose this isolated area for their isolation. Today Santa Croce is above all famous, as well as for the artistic set, to be the burial place of many Italian personalities and artists: Michelangelo, Galileo, Machiavelli are among the most famous to be buried here. From Piazza Santa Croce we reached Via Torta, a very characteristic street for its elliptical plan, Borgo dei Greci, were we found the Church of San Fiorenzo and finally Via dei Neri, one of the streets of the typical Florentine craftsmanship. 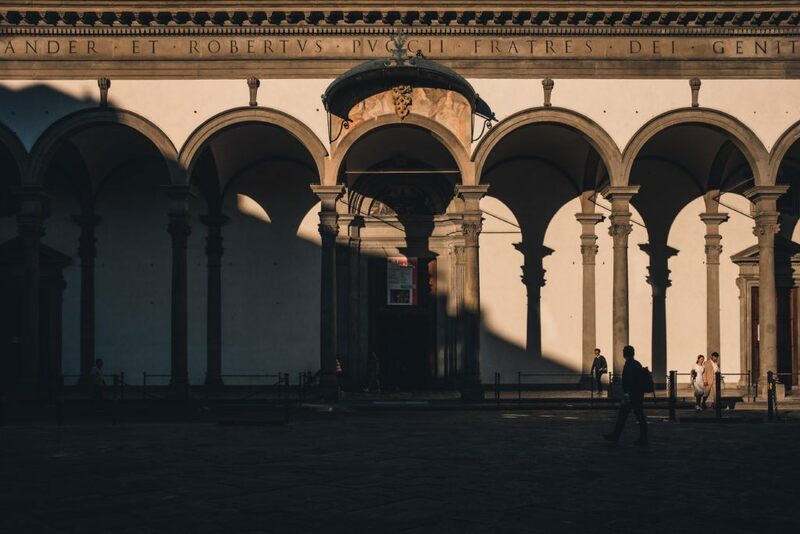 It is not possible to know the majesty of Florence without paying a visit to the Uffizi Museum. 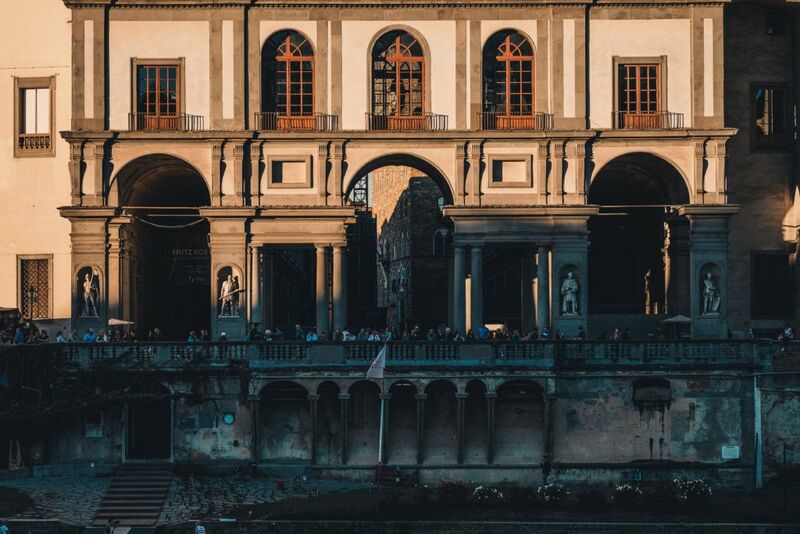 The Uffizi Galleries are a museum complex including the Gallery of Statues and Paintings, the Vasari Corridor and the Palazzo Pitti collections. The three unified galleries constitute, for the quantity and quality of the works, one of the most important museums in the world. The Museum houses the works of some the most famous artists of the fourteenth century of the Renaissance, including Giotto, Botticelli, Raphael, Michelangelo, Leonardo and Caravaggio. 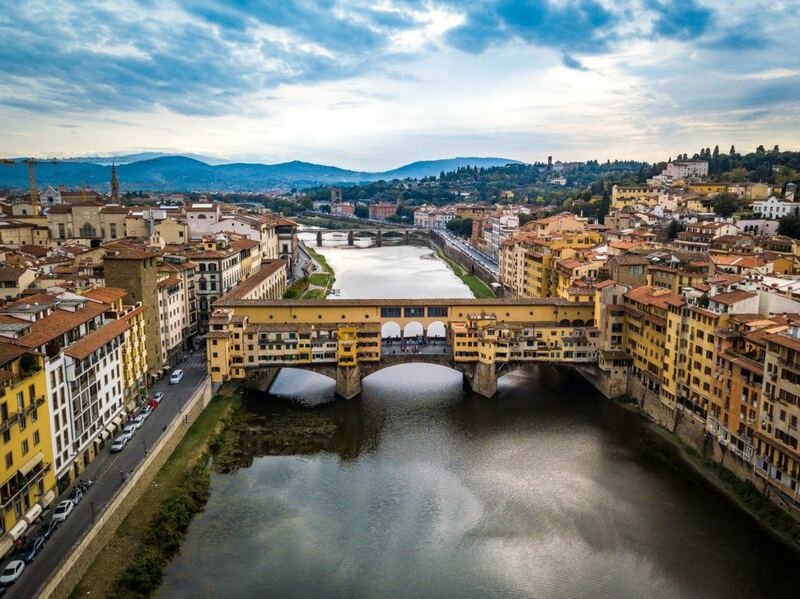 One of the most important bridges in the world, Ponte Vecchio was originally designed as a defensive structure characterized by four towers on each of the four corners of the bridge. It housed various shops including butchers, fishmongers and tanners, but later it became the seat of goldsmiths and jewelers. Ponte Santa Trinita, instead, is one of the most elegant bridges in Europe: built in wood in 1252, it was repeatedly destroyed over the centuries and rebuilt. It is one of the most strategic points from which to admire and photograph Ponte Vecchio. 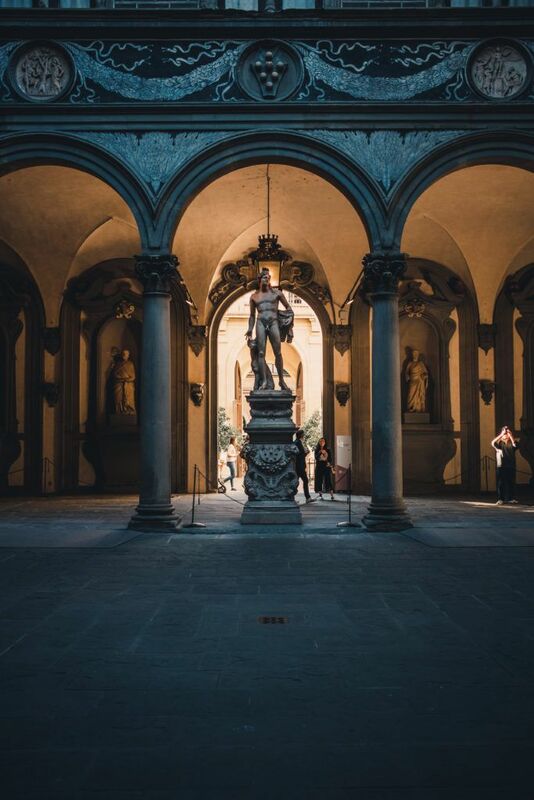 One of the most majestic palaces in Florence, Palazzo Medici Ricciardi is defined as the home of Italian Renaissence. This is the first Medici palace, where Cosimo il Vecchio and Lorenzo il Magnifico lived and artists like Donatello, Michelangelo and Botticelli worked. The facade of the building is covered with ashlar graded so as to be more protruding on the ground floor and then be smooth on the second floor and is divided on three floors, separated by frames. On the ground floor there are openings covered by iron bars, while on the first and second floor are located a series of mullioned windows surrounded by cornices. An example of the sobriety, rigor and elegance of Florentine architecture. Piazza Santissima Annunziata was designed by the genius of Brunelleschi and Alberti and it is one of the squares in Florence that best expresses the ideals of the Renaissance. Every year in this square it is celebrated the feast of the Rificolona, ​​one of the most folkloristic events in Florence, where citizens gather around carrying colorful paper lanterns with bizarre shapes. At the center of the square there is the equestrian monument of the Grand Duke Ferdinando I. According to the legend, Ferdinando’s gaze is fixed and facing the same direction as the open window, in search of his secret lover. The Giardino delle Rose in Florence is a place of extraordinary beauty, ideal for a romantic walk or to relax in a true green oasis in the heart of the city. In the garden there is a collection of roses and other plants and botanical rarities: here you can admire about 400 varieties of roses and a total of 1,200 plants. The park is located in Viale Giuseppe Poggi, just below Piazzale Michelangelo, from which you can enjoy a splendid view over the entire historic center. 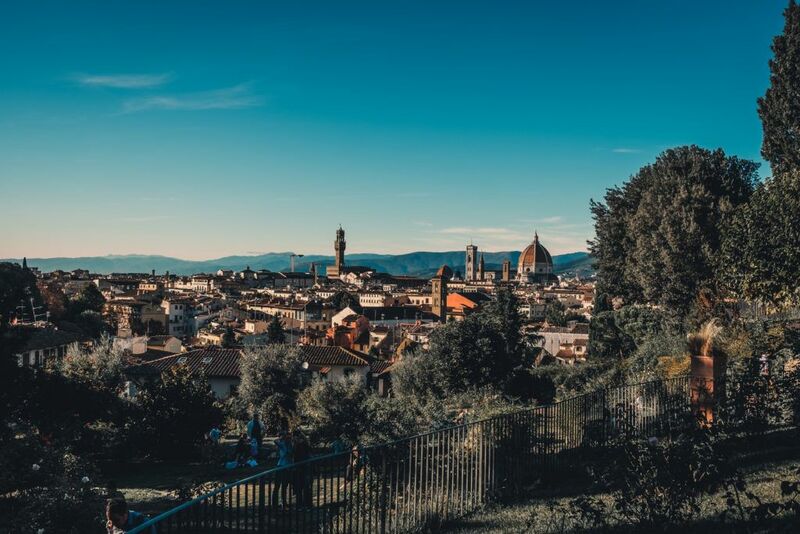 Piazzale Michelangelo is the most famous vantage point on the city: a majestic terrace from which you can admire and embrace Florence in all its beauty, dedicated to one of the most important Florentine artists of the Renaissance. The square was built on the occasion of the election of Florence to the capital of Italy in 1873 by the architect Giuseppe Poggi. In the original proposal the square was to become a monument to Michelangelo; Giuseppe Poggi also designed the neoclassical style loggia overlooking the terrace. Originally the building was designed as a museum dedicated to Michelangelo’s works, although it was almost immediately transformed into a café. 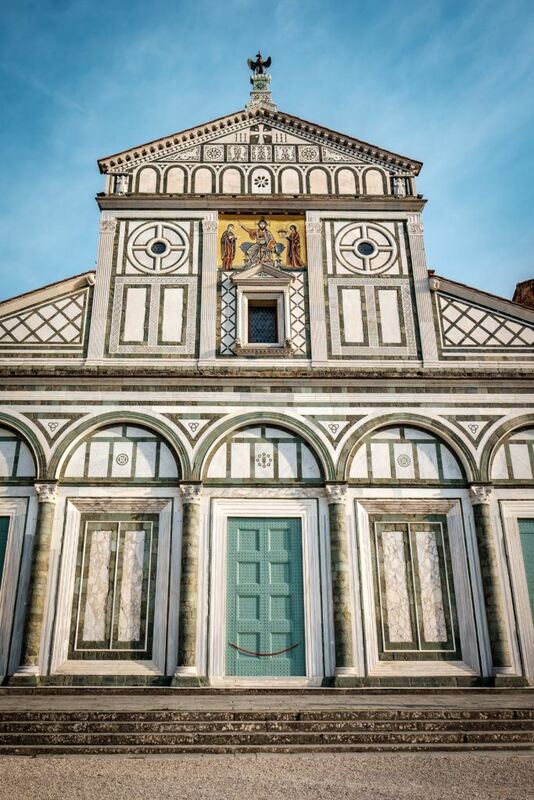 The Basilica of San Miniato al Monte is a masterpiece of the Florentine Romanesque style and dominates the whole city from above with its stunning facade characterized by by geometric patterns in white and green marble. The construction of the basilica began in 1013: almost immediately, legends and mysteries arose around the church and its particular symbolism. Strange and curious is the legend concerning San Miniato, to whom the church was named: it is said that, in the year 250, after being beheaded by the tyrannical emperor Decius because of his asceticism, he left with his own head in his arms he reached the place where centuries later the Basilica was built, and he dedicated himself to the life of a hermit. A centuries-old beauty, always changing. 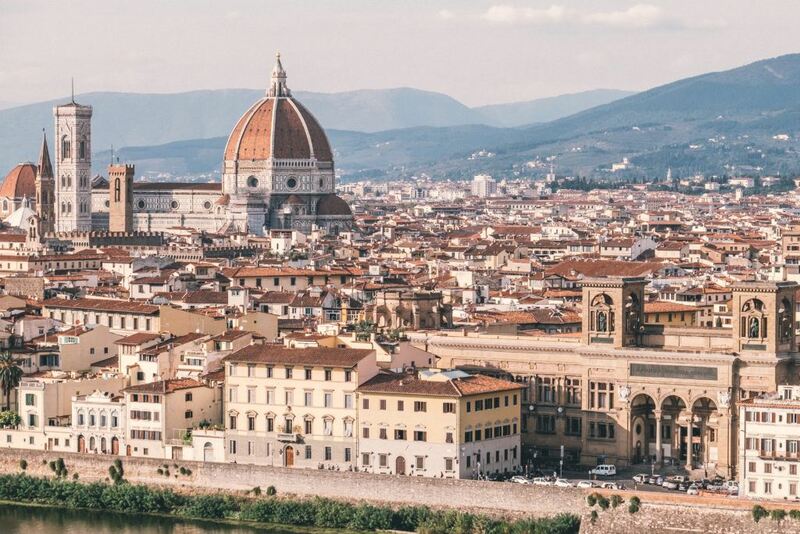 Beauty is everywhere in Florence: in the hidden corners and in the refined decorations of the historic buildings, in the poetic reflections on the Arno River, in the majestic cathedrals designed by the Italian genius. We tried to unveil this beauty by playing with the perspectives, the heights, the lights. What did we find out? A city that can always reveal something different in the eyes of those who admire it. An unrivaled immersion into the cradle of the Renaissance. 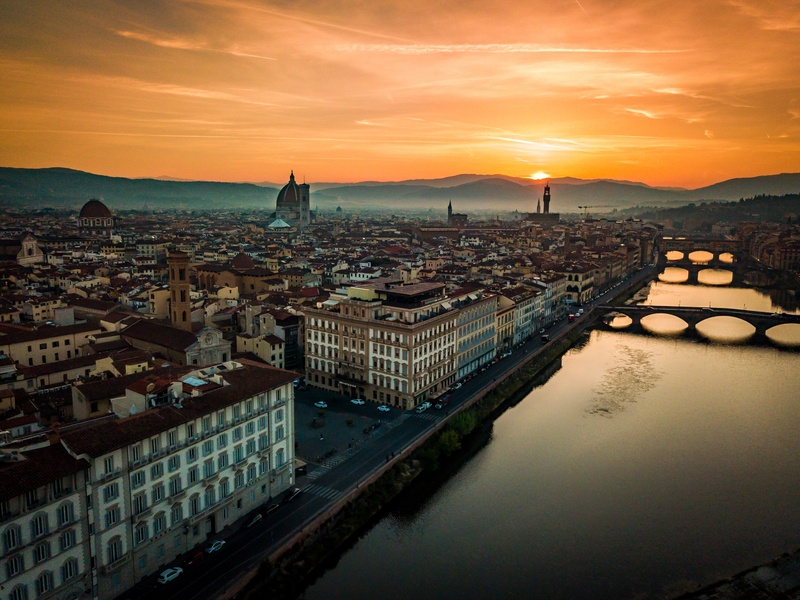 The Westin Excelsior Florence and The St.Regis Florence are both located close to the Arno River and to the bordering Lungarno Amerigo Vespucci, in Piazza Ognissanti. The square was designed in the thirteenth century to allow the faithful to attend the ceremonies and sermons that were held at the Church of All Saints and as a space dedicated to the processing of wool. Today this square is a tourist hotspot perfectly placed in the heart of Florence, from which you can walk to the beauties of the city. Born in Sardinia and raised in Florence. Lorenzo is an Architect and Light Designer with a passion for photography. Our Cicerone is profound connoisseur of the art and history of Florence and guided us during our journey in this charming city. 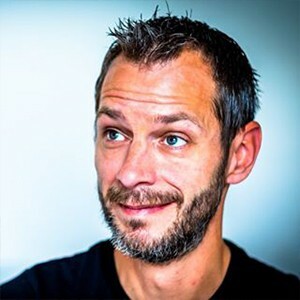 Traveler and life style photographer, drone pilot, enthusiast globetrotter: Alan lives between London and Prague and loves steet life and portrait photography. He had never been to Florence and discovered it for the first time with us.